From March 1st to June 11th we held an open call for applications for our Creative Promise Prizes in Biomedical Science and Culinary Arts. Established in 2009 as a complement to our Vilcek Prizes, the Creative Promise Prizes encourage and support early- to mid-career immigrant artists and scientists. 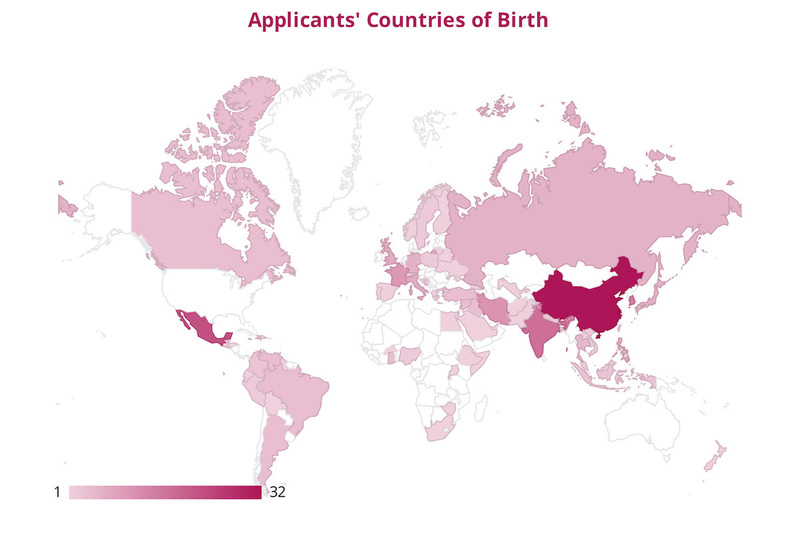 The 268 individuals who applied this year represent only a tiny fraction of the United States’ foreign-born population. Yet, the applicants—who range from 20 to 38 years old, hail from 78 countries, and work in 23 fields—are a testament to the diversity of America’s immigrants and their significant accomplishments. Each year we enlist an independent jury of industry professionals to help us select the most deserving candidates for our prizes. They are currently in the difficult process of determining the 2019 Prizewinners, but in the meantime we are excited to share a demographic overview of this year’s applicant pool. 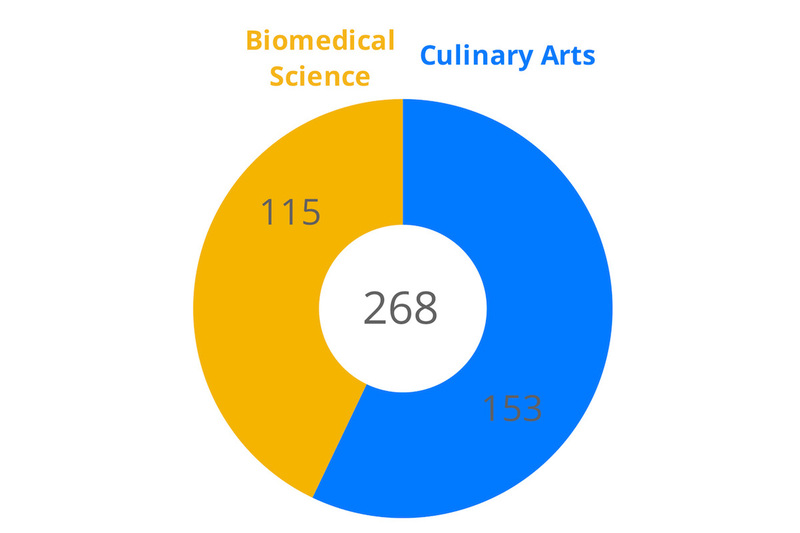 The 268 applicants were divided between the two categories: 153 individuals applied in culinary arts, and 115 applied in biomedical science. As the Creative Promise Prize is meant to support the careers of young immigrants, applicants for the 2019 prizes were required to be 38 years of age or younger as of December 31, 2018. Though the youngest applicant was 20 years old, the majority of applicants were between 34 and 38, with 171 (63.8%) falling within that range. 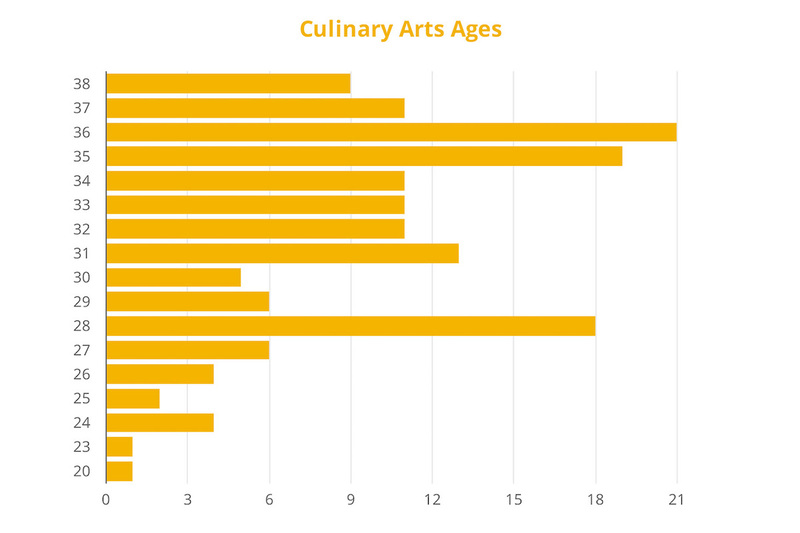 The average applicant age was 33.9 years old, but culinary arts applicants skewed younger, with an average age of 32.3 compared to the average age of 36 for science applicants. Applicants hailed from 79 counties and every populated continent. The most popular five countries were China (32), Mexico (22), India (17), South Korea (15), and Iran (11). But we also received applicants from Bangladesh, Finland, Ghana, and Syria, to name just a few. The number of applicants who identify as male was slightly higher than those who identify as female, with 155 males applying (57.8 %) compared to 113 females (42.2%). However, the disparity was entirely in the science category, where men outnumbered women 78 to 37. In culinary arts, the application numbers were nearly even in regard to gender, with 76 women compared to 77 men having applied. 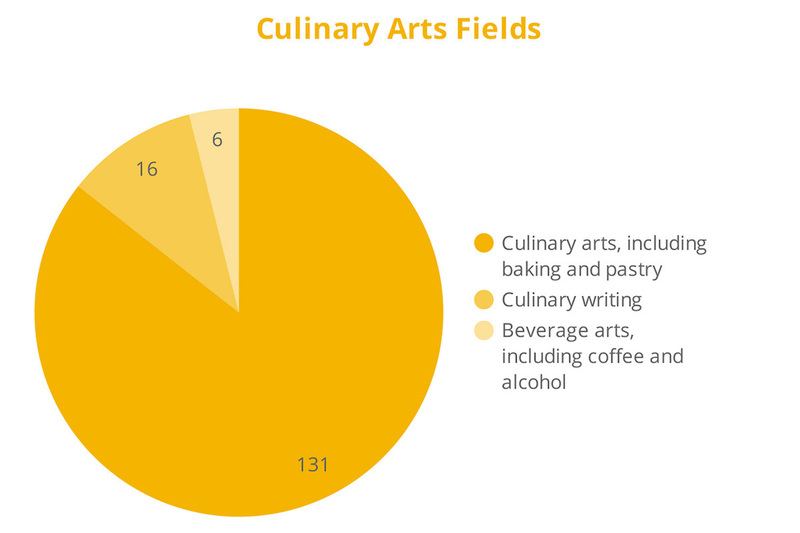 Applicants in the culinary arts category applied as a practitioner in one of three disciplines: culinary arts, beverage arts, and culinary writing. While 131 culinary artists made up the majority, we also received applications from 16 culinary writers and 6 beverage artists. 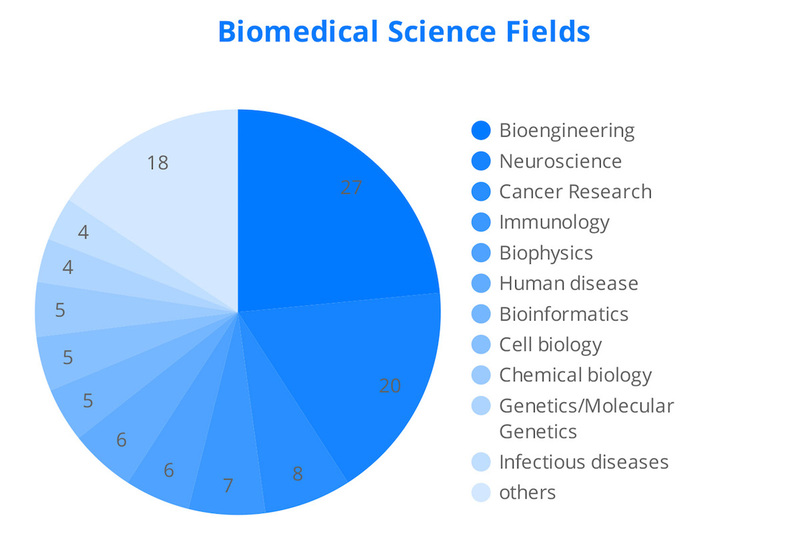 The applicants in biomedical science represented a wider spectrum of fields. 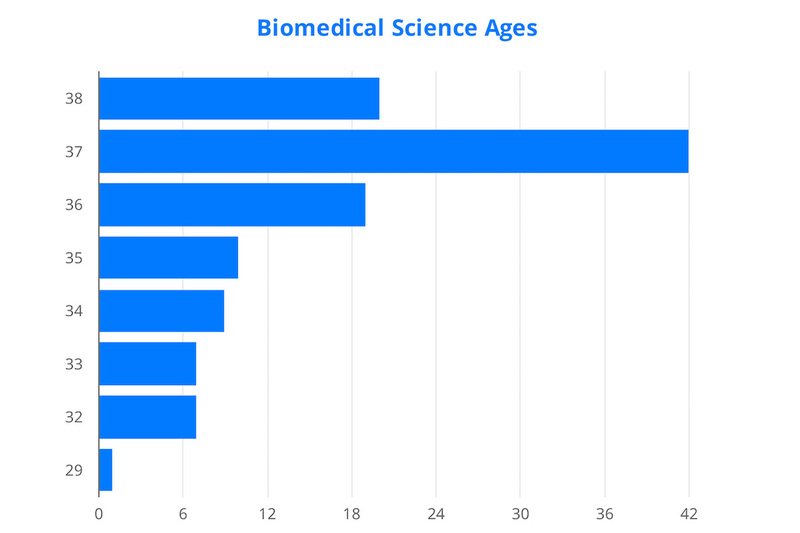 The most popular this year were bioengineering (27) and biochemistry (20), but we also received applications from researchers working in cancer research (8), immunology (7), and virology (6), among others. The recipients of the 2019 Creative Promise Prizes will be announced early next year. We look forward to sharing their stories and promoting their contributions to the United States. You can stay up to date on future announcements by following us on social media and joining our mailing list.